QuickBooks vs FreshBooks: Which One will You Choose? 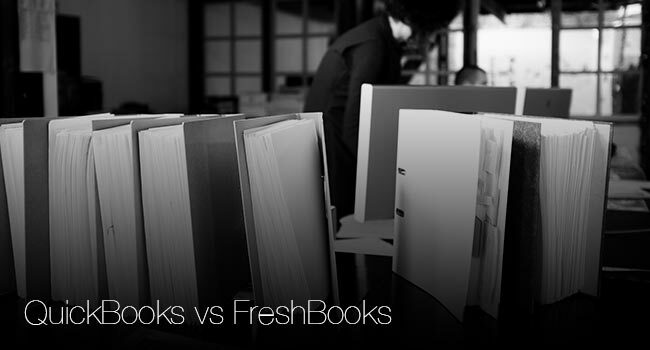 Have you ever wondered the difference between QuickBooks and FreshBooks? This is a question many people ask themselves and wonder if they are alternatives. However, it is good to note that the two are very different products. This article looks at some of the differences between them. The article begins by looking at the features of FreshBooks and then QuickBooks. This is a billing and timekeeping software. Despite having the name books, it does not perform bookkeeping of any kind. It helps you track your expenses and time, send invoices that are customized to your emails or mail. In addition, FreshBooks take online payments and licks the stamps on your behalf. The good thing is that it is simple to operate and runs just within a short time. The customer service provided is excellent one. If you make a call, a human being will answer you and you can be assured of getting high quality support. This means that it is not possible to face any major problem because you will always get the required assistance from the customer support. One issues that you may face is that when you set up automatic recurring payments using a credit card, FreshBooks does not ask for the billing contacts and there is no way you can make updates of the billing address when your clients pay their invoice. FreshBooks is the best billing and timekeeping software for small businesses, but if you want to have bookkeeping features, you will be required to have QuickBooks vs FreshBooks. QuickBooks perform billing and bookkeeping, but contains only rudimentary expense tracking and timekeeping features. When it comes to small firms accounting software, this is the popular choice because of the following reasons. One, it is easy to use QuickBooks and makes it easy to send a copy if your file to your accountant when time to perform check ups or do your business taxes come up. In addition, QuickBooks helps in tracking time if you have all your billers track their time on paper and have just one of them play the role of entering all the time at end month. Should you use both QuickBooks and FreshBooks or just one of them? FreshBooks is a great QuickBooks alternative but this is a good question you need to ask yourself. However, you can use both of them because FreshBooks will help you track expenses and time. The slick online payment portal makes it easier for clients to pay you by use of a credit card. However, for keeping the books QuickBooks is more efficient. Using both of them also ensure that you have thorough checking. This happens because if you generate an invoice in FreshBooks, you will need to account for that invoice in QuickBooks. Thus, you will end up doing double-checking to ensure that you have all your expenses right. It is also cost effective to use FreshBooks for automatic recurring billing compared to most credit card processors charges. The decision on how to use each of them or both will be determined by your business needs and efficiency you find in them.